This will be a world class community surrounding an 18-hole Jack Nicklaus signature course plus a nine-hole "short course". 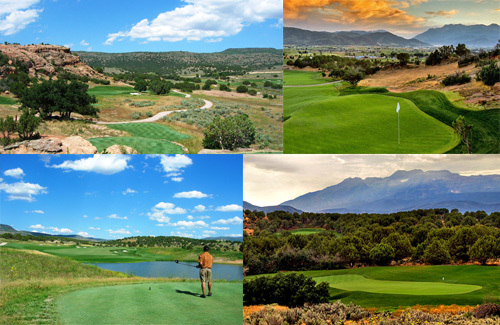 The community is located 15 minutes from Park City, Utah and features fantastic views of Mt. Timpanogos from behind the red rock outcroppings of the property. Now under construction, the course is scheduled to open in 2009. The community is made up of 1900 acres and has plans to include a Jim Mclean golf teaching school, equestrian facility, and Cliff Drysdale Tennis Academy (the first in the western United States). Troon Golf will manage all of the amenities of the community including the golf courses. The first release of single family lots took place in October of 2007 selling 61 lots. Currently there are homesites available for purchase ranging from 1/2 acre to 2.5 acres. Cottages, additional lots and cottages will also be available.